How much is DeMarcus Cousins Worth? 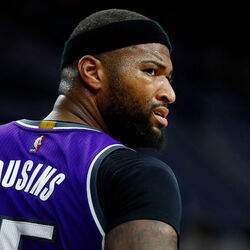 DeMarcus Cousins net worth and salary: DeMarcus Cousins is an American professional basketball player who has a net worth of $37 million. 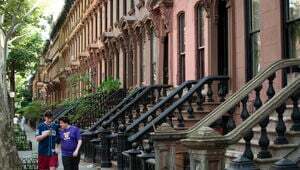 DeMarcus Cousins was born in Mobile, Alabama in August 1990. Cousins is a 6'11" center who played at LeFlore Magnet High School. He played in the 2009 McDonald's All-American Boys Game and 2009 Nike Hoop Summit and led his team to the state championship game. Cousins played his college basketball at the University of Kentucky. In 2010 he was a Consensus second-team All-American, first-team All-SEC, SEC Rookie of the Year, and named to the SEC All-Rookie Team and SEC All-Tournament Team. 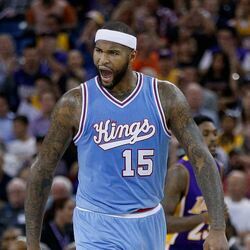 Cousins was drafted #5 by the Sacramento Kings in the 2010 NBA Draft and has played his entire career for the Kings. His rookie contract in 2010 was worth around $7 million. In 2013 he signed a four year extension worth $62 million and announced he would donate $1 million to the families and community of Sacramento. In 2011 he was named to the NBA All-Rookie First Team and in 2015 he was selected as an NBA All-Star. 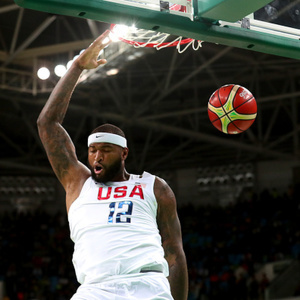 Cousins won a Gold medal representing the United States at the 2014 FIBA Basketball World Cup in Spain. Going into the 2019 season, DeMarcus' career earnings sat just under $80 million (from NBA salary alone). His salary per year at this point topped $18 million.